RMUTT has collaborated with the Rakkaew Foundation to organize activities to enhance learning and working with communities in Beung Ka Sam area, Nong Seua district, Patum Thani province, by studying their way of life, information, and help strengthen the community under the Sufficiency Economy Philosophy program helmed by students. Many activities that have occurred over the course of four days have benefited both the students and the community. Two third year students in RMUTT’s Thai Traditional Medicine College commented on the program: Ms. Sunita (Gig) Mheetonglang, a third year student in RMUTT’s Thai Traditional Medicine College said that the Sufficiency Economy Philosophy is a Philosophy that His Majesty King Bhumibol Adulyadej, King Rama 9 said can be applied to Thai people. His Majesty emphasized solving problems, to be resilient to them, and sustainably live under change and varying contexts. 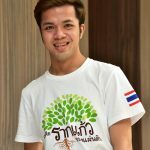 Furthermore, Mr. Ananthapan “Blue” Pinnoy, a third year student in RMUTT’s Faculty of Fine and Applied Arts commented that the program provides a change of scenery in learning. 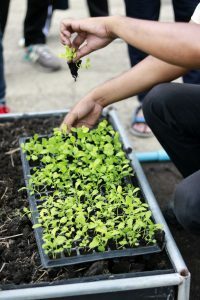 He was able to experience and live with the community and see their way of living, particularly the farming profession, which requires patience and high achievement to produce high yields as intended. As the world is constantly changing and progressing, one has to adapt and be open minded to learning new things in order to improve one’s career. 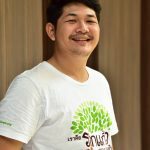 “I would like to encourage and support people in the community to create value-added products that are consumers’ favorites and I see [the program] as a way to build good relationships with the community” said Mr. Ananthapan “Blue” Pinnoy. 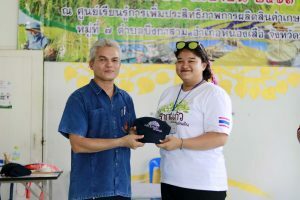 Finally, Mr. Jedjaran (O) Boonnam added that to truly reach out to the community, one has to live with them, like what we have done in this program. People in the community are our teachers that teach and share good life experiences with us. Concurrently, students also bring and apply their knowledge to create benefits and practice creative thinking to solve problems by doing. They have analyzed the community’s problems, which reveal that the community lacks sufficient knowledge and agricultural produce management. 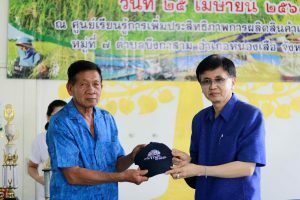 Thus, they have proposed a Beung Ka Sam network program to help the community’s farmers by providing consulting services to solve problems and accumulate knowledge, as having a network will help in fostering good cooperation. 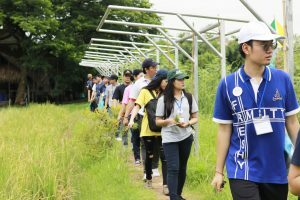 “Thank you RMUTT, Rakkaew Foundation, and the Beung Ka Sam community for the fun learning activities through applying His Majesty’s Sufficiency Economy Philosophy” said Mr. Jedjaran (O) Boonnam.